Jalan Sultan Azlan Shah formerly known as Jalan Ipoh is one the oldest route linking Kuala Lumpur to North KL such as Kepong, Batu Caves and Selayang. Despite sharing the rich history and demographic like his cousin Old Klang Road, Jalan Ipoh had been overlooked for developments. 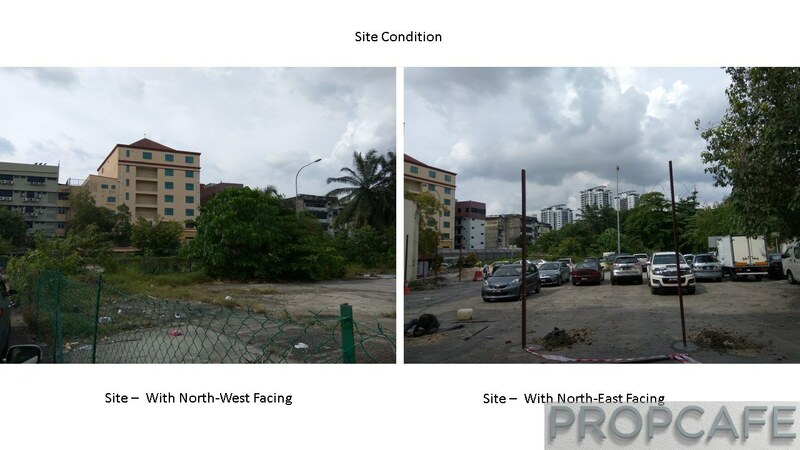 Developers such as UOA, MRCB, Binastra, Exsim etc have been developing pockets of land along OKR however it has been found wanting until now where Yuk Tung is developing one block consists of 311 units on 1.04acre at Jalan Kasipillay off Jalan Ipoh and OCR is developing two towers consist of 363 units (link of PROCAFE review https://propcafe.net/the-pano/) with GDV of RM200m. There is another piece of land adjacent to Court28 where there will be another 2 towers of 386 units. UOA expect to launch their first phase of 28acre next to Taman Bamboo next year. The pace of development in Jalan Ipoh has been picking up. Looking at the supply side, it has been fairly limited despite the strategic location of Jalan Ipoh which is just 5km away from KLCC and with Duta Link, just a breeze drive away to KL Sentral, Hartamas and Duta. With this, Fajarbaru has come with a new launch called Rica Residence Sentul with GDV of RM270m. Fajarbaru’s financial performance seems to be mixed where they were making small losses in 2015 despite the incremental revenues from RM181m in 2011 to RM387m in 2015. Fajarbaru current market capitalization is RM200m, considered as mid cap company. Back to the Rica Residence Sentul, if you are familiar with Sentul area, The Sentul Cinema is a landmark building and in the glory time, it was meeting point for Sentulians to catch a movie. In fact during the premier of Kabali, the cinema was still attract sizable crowds. 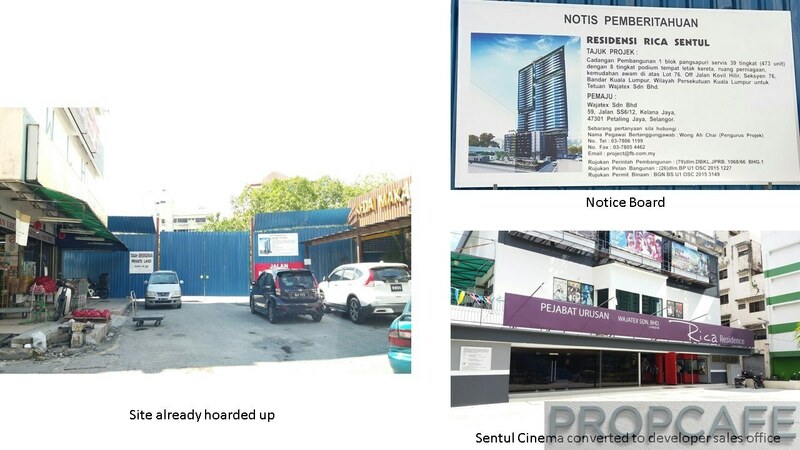 In 2011 Fajarbaru has acquired the Sentul Cinema together with adjacent empty plot of land measuring 2.3 acre held under Geran 5441. 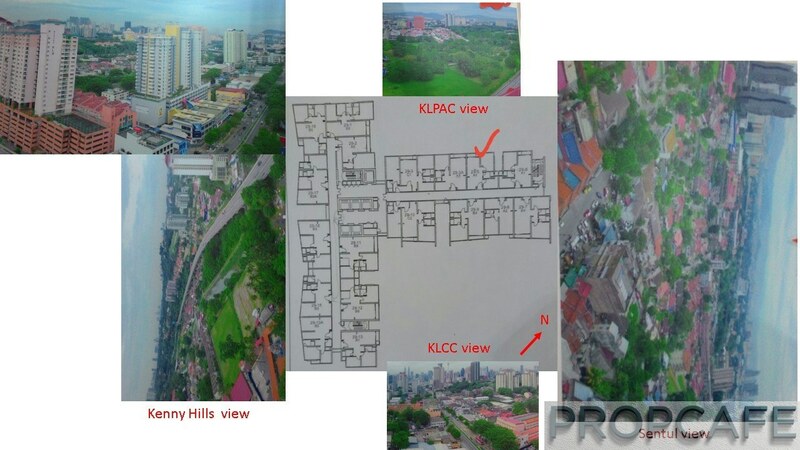 Lot 76 for RM23.6million cash (http://cdn1.i3investor.com/my/files/dfgs88n/2011/08/09/1452364905-1211672318.pdf) . From KLCC depending on traffic can use Jalan Tun Razak or Jalan Kuching to enter Jalan Sultan Azlan Shah or Jalan Sentul. Similarly to ingress, just use the reverse flow to travel to the KL Sentral, Mont Kiara, KLCC etc. For example just use the Sentul Link and KL Sentral just 5-10 minute drive away. Jalan Ipoh despite the heavier traffic flow nowadays, is excellent for network and connectivity and for regulars, there are many permutation and options to reach to their destination. There are no shortage of amenities in Jalan Ipoh where supermarket, eateries, hospital, school are adequately serving the needs of the residents here. 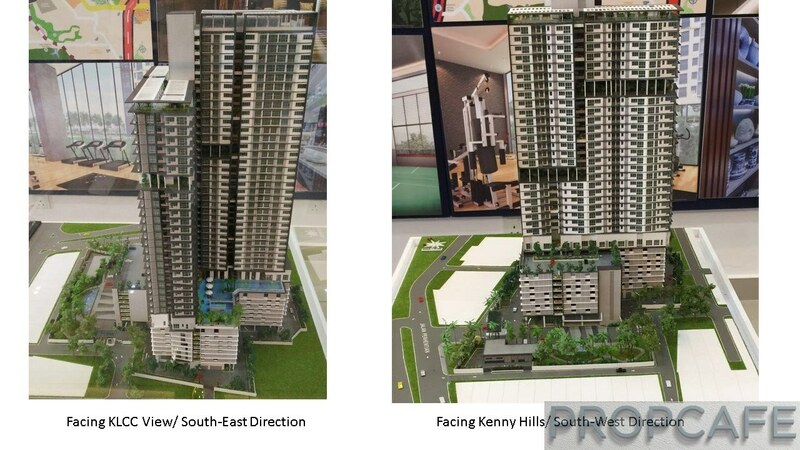 The 2.31acre freehold Rica Residence Sentul consists of 473 units in 2 blocks of 39 and 33storeys. These two blocks form a ‘T’ shape and share a common core of 5+1 lifts. The ground consists of lobby, management office, retail lots. Followed by 7 floors of carpark. The facilities deck is on level 8 and 34th. Typical floors start from level 9-39 with limited garden units on level 8. From the table above, nothing much in between Rica Residence Sentul and Pano however Court28 has the highest density and lift utilization between all of them. The façade is quite conservative and to break the monotonous façade, landscaped gardens on every 3 floors. However there are few major landscaped gardens which located on level 16,26 and 34th floor. The units on these premium levels cost more and dearer by RM16K. The developer has used drone and capture the breath-taking view around Rica Residence Sentul and for the privilege of the PROPCAFE readers, we share the video in this review. Each facing has different layout and size. 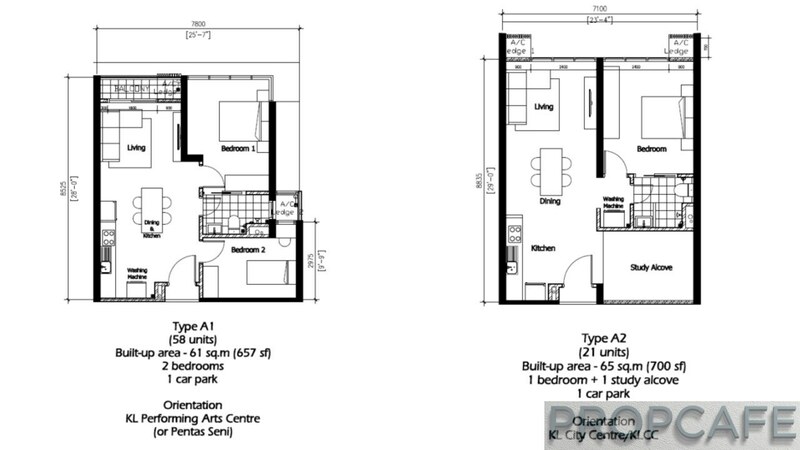 For example if you are interested in the smallest type A1@657sqft, only KLPAC view which also comes with partial west sun. In PROPCAFE’s opinion, the best unit will be type B4. If you choose low floors, the owners will enjoy the pool view and for those high floors, with KLCC and KL Tower view. Type B4 also shielded from west sun. 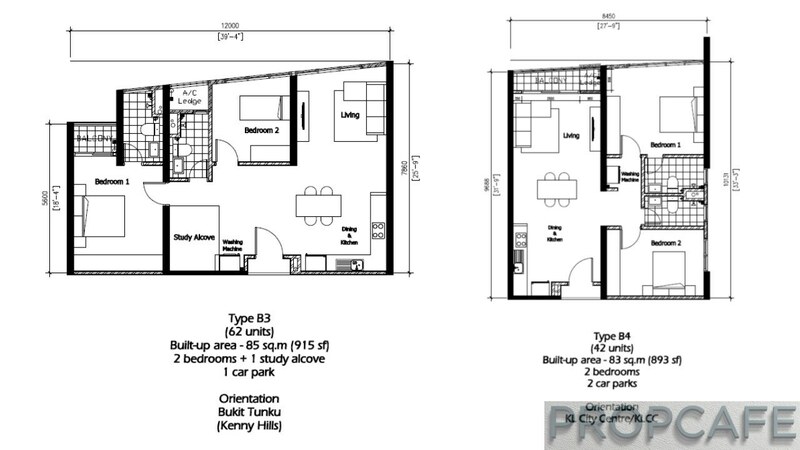 Type B4 layout is practical with proportion size of squarish 2 bedrooms fitted in less than 900sqft. And best part is type B4 comes with 2 carparks. 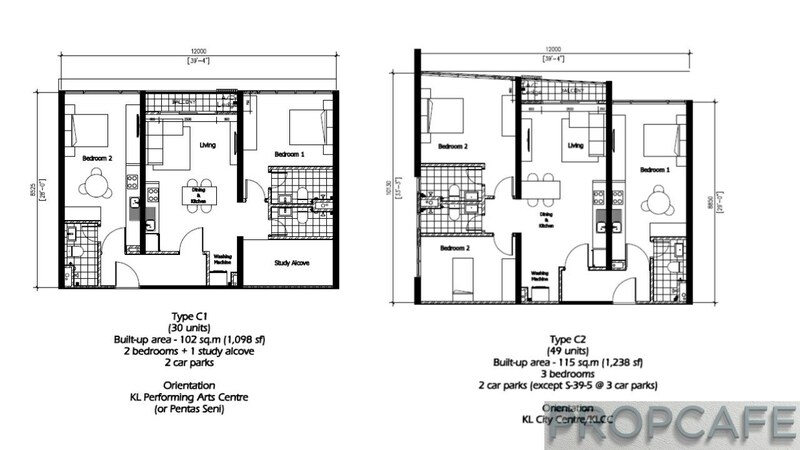 If you choose the corner unit, the 2nd bedroom will enjoy unobstructed view. For family who prefer to taichow or Asian style cooking, type B5 is worthy to be mentioned. The kitchen is inside a room where door can be closed when the chef is doing Asian style cooking to avoid the smoke permeate through the whole house. Being the corner unit, the kitchen has own window. Obviously for investors and budget conscious buyers, type A1 is the best choice. 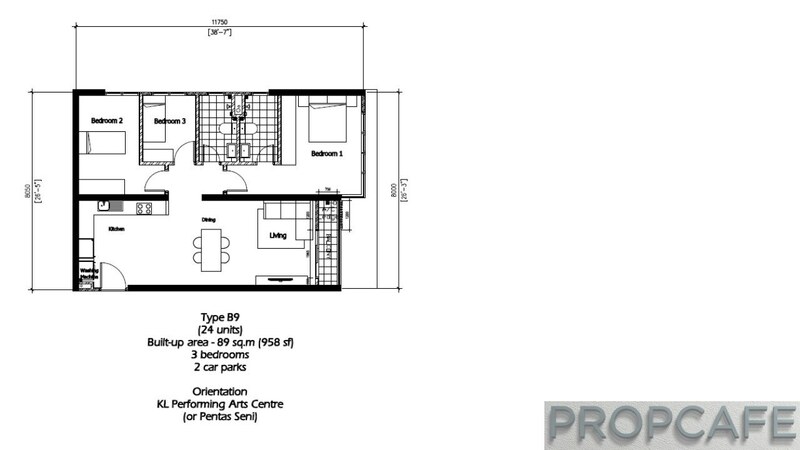 Not only the unit is facing the majestic view of KLPAC, the layout is practical with 2 bedrooms and balcony fitted within 657sqft. The only downside is only one bathroom and the unit is partially facing west sun. 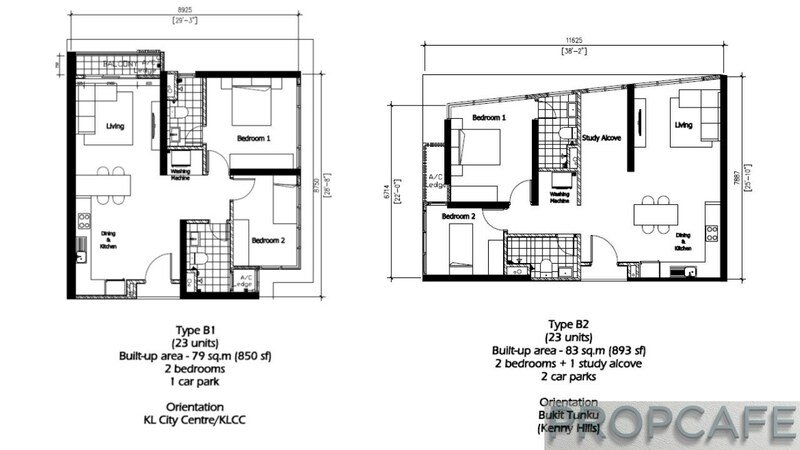 If buyers are looking for option to rent out separately or plan to earn some rental income while live in one of the units, the dual keys type C1 and C2. 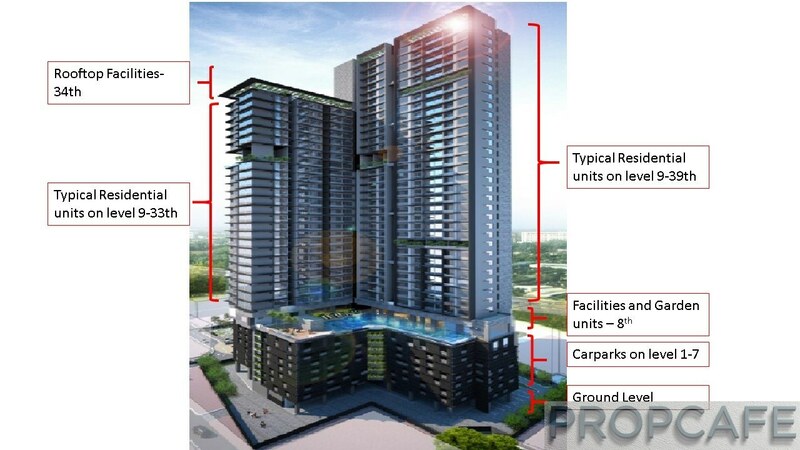 PROPCAFE like the idea of variety of unit layouts which cater to different needs of buyers. Besides, it will reduce the competition upon VP as different tenants/ buyers will have different requirements. Therefore as investor, the competition is not only about pricing, level and view but the layouts as well. 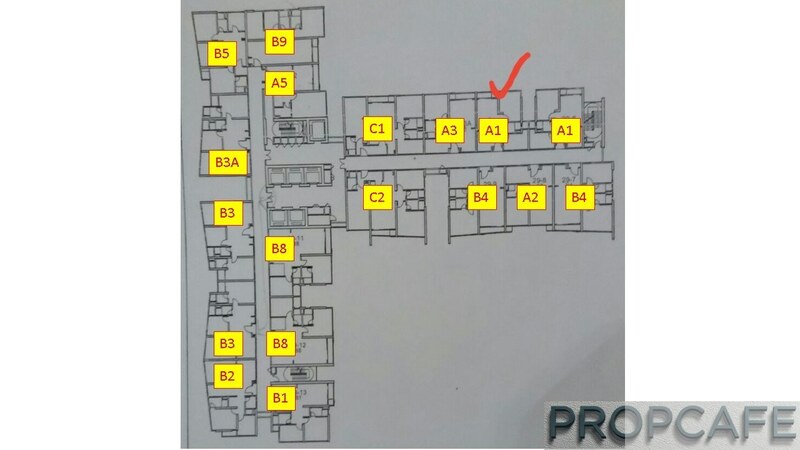 For example if subsale buyers are looking for most affordable 2 bedrooms, there are only 58 out of 473 units (12%) of type A1 with majestic Sentul Park as choice. And if buyers insist of high floor, another half of the supply will be out of equation. 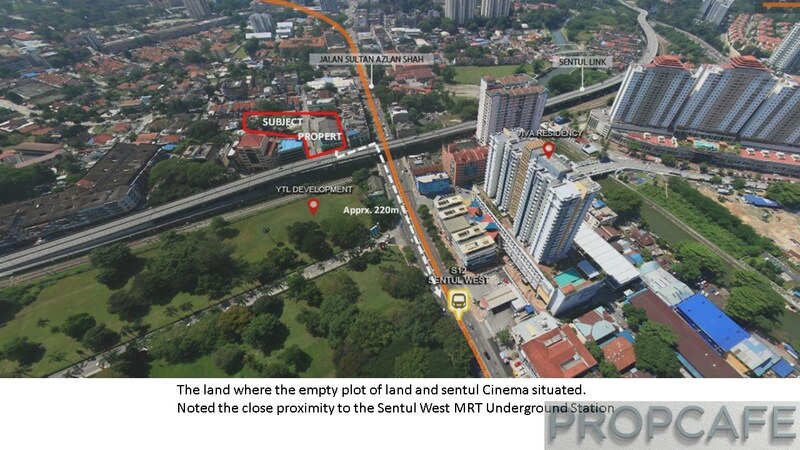 The biggest USP is the KVMRT2 project linking Sungai Buloh and Cyberjaya where the nearest underground station is Sentul West which is just 150m away from Rica Residence Sentul. The bulk of the contracts have been awarded with land acquisition is ongoing. In fact if you drive around KL and Jalan Ipoh, you can see many MRT activities are ongoing and land are hoarded up. For example area such as Binjai, Behind Ampang Park, General Hospital, Titiwangsa, Sentul West etc there are a lot of activities are ongoing. With the MRT2, major destination such as KLCC, TRX, Bandar Malaysia, Cyberjaya are just minutes away without get caught in traffic jam. In global trend, the public transport is the de facto mode of transportation. It will be interesting to see the impact of KVMRT1 Sungai Buloh-Kajang. With the completion of KVMRT2 in middle of 2022, it will be no longer for Rica Residence Sentul owners to wait for the completion. 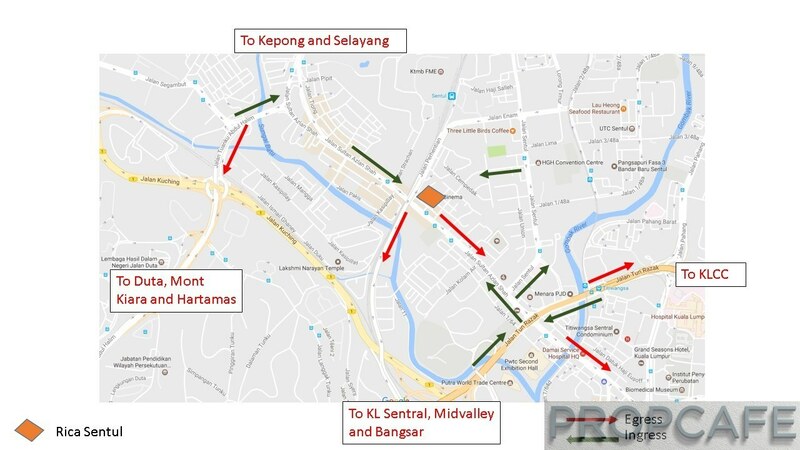 Rica Residence Sentul is also surrounded and close proximity within upcoming development such as TamanSari, KL Metropolis and biggest of all, the rejuvenation of Sentul East and West by SentulRaya (A former JV company owned by KTM and YTLLand). Launched in 2004, suffice to say the rejuvenation has been pretty slow with completion of The Maple in Sentul West and 4 condominium in Sentul East. However the latest new YTL Land will acquired the remaining 30% stake of SentulRaya from KTM (link: http://www.thestar.com.my/business/business-news/2016/11/30/ytl-land-to-buy-remaining-30-stake-in-sentul-raya/). It will be interesting to see whether what is the future plan of YTL Land and how aggressive SentulRaya develop Sentul East and West given it is one of the last big parcel of land remaining in Kuala Lumpur. The normal facilities such as lap pool, gym, sauna, function room however worth to mention is the landscaped garden on every floor as well as glass viewing deck on the 34th floor. To be honest, PROPCAFE is not sure whether having glass viewing deck is good idea from perspective of safety, monitoring and maintenance. You need constant monitoring and maintenance to ensure the safety of residents enjoying the facilities. All these constant monitoring and maintenance cost a lot of money. And I wonder what JMB will do when they find out cracks on the glass. Hm…. After the rebate the net price is about RM600psf +/-. The premium for every floor increase is RM1k where for premium level where landscaped garden located, the premium is dearer by RM16k. The smart buyers have snapped level 17 and 27 because they do not need to pay the premium however still able to enjoy the double volume landscaped garden as well as lower density of their level. At this moment, developer yet to secure APDL due to appeal of Extension of Time (EOT) which expected to be obtained by end of December and SPA signing from mid-January.2017 onwards. PROPCAFE was told most likely developer will obtain EOT to complete the construction in 48months. The maintenance fee inclusive the sinking fund is expected to be RM0.31 therefore for type A1 the fee is expected to be RM200 which is affordable for young couple or family with one kid. 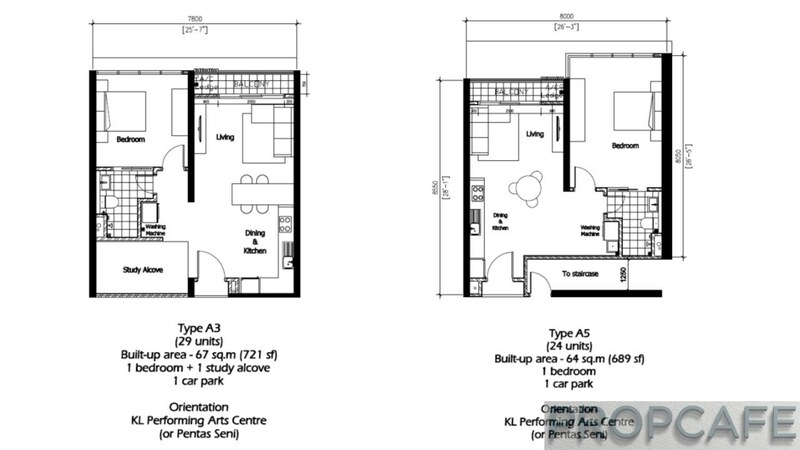 Type A only comes with 1 carpark where else selective type B and all type C will come with 2 carparks. If 2 carparks are necessary in your purchasing decision, consult the SA as for the layout and facing that come with 2 carparks. Worth to mention is laminated timber flooring will be provided in bedrooms which is more cosy and suitable material for bedroom. Many developers are installing porcelain tiles which is cheaper however easier to maintain in bedroom. Porcelain tiles feel cold and slippery especially in the morning. Sentul is not short of new launches especially near the Kampung Batu Muda where it is expected 5-6k units from UOA, SkyAwani, Maxim etc will flood the market in next 3-4years. 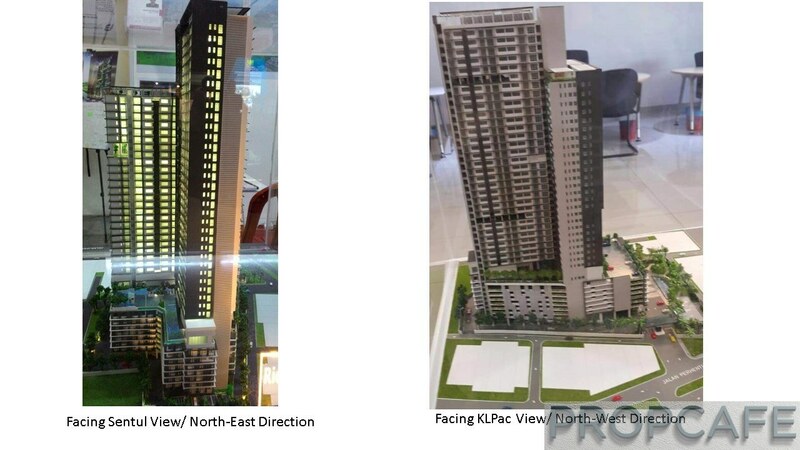 However these development is not within walking distance to MRT station. In PROPCAFE’s opinion, given the close proximity of Rica Residence Sentul to KL City and walking distance to Underground MRT station, Rica Residence Sentul is not Apple to Apple comparison with these projects. 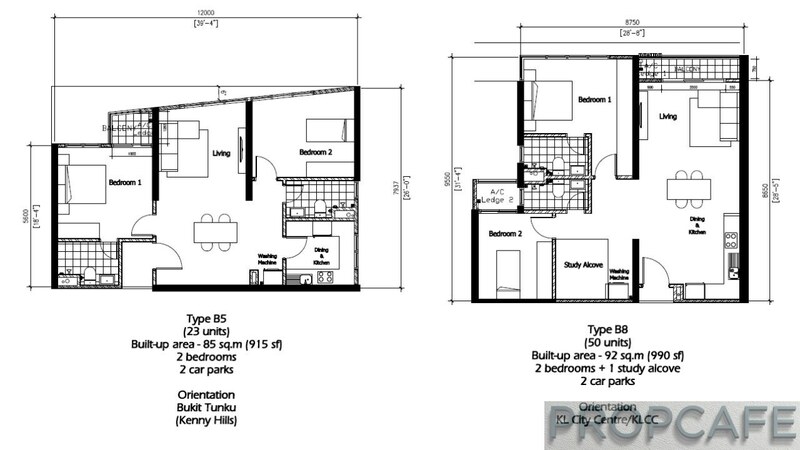 With 80% of the units are sub 1000sqft, most of the units are priced slightly below RM400K to RM600K. Given the close proximity to city and future MRT station, It seems Rica Residence Sentul is consciously priced in current property market sentiment. Can elaborate on this ….. “There is another piece of land adjacent to Court28 where there will be another 2 towers of 386 units”. Do you have any details on this development i.e. type of development, the developer, etc? u mean another condo beside court 28? this is high density. more supply than demand? Is the builder a reliable one? Worth buying an apartment here? prop cafe staff, please check again with independent project management team. is either you got misled by developer or insufficient research. This is a 39 Storey and 33 storeys. not 20plus storey. Did you know that 100% completion of structural works only account for 25 percent plus minus of total work progress of the whole project. For this project based on my personal experience, the structural works must be at least completed by half of 39th storeys by the time this article was posted. Thank you for the valuable feedback. The observation made in the Facebook based on editor’s personal experience observing high rise undercon. Usually the developer will carry the finishing works, M&E etc in parallel or lag behind superstructure by few floors.